Discover why Peppertree Children's Center is a great choice for your children. We focus on the academic, physical, emotional, and social development of every child who walks through our doors. Stay up-to-date on our current programs, policies, and important dates. In order to best take care of your child, and to comply with regulations, we require certain forms to be submitted prior to registration. See what satisfied parents have to say about our programs, staff, and more. Peppertree Children's Center offers comprehensive child care services that both kids and parents enjoy. Call us for more information. Peppertree is now registering for its Universal Preschool and its Summer School Age Program. 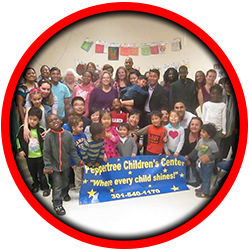 Peppertree Children's Center is a child care center in Germantown, Maryland, operated by the nonprofit organization Peppertree Centers, Inc. We've been in operation since 1982 and are proud to be accredited by the National Association for the Education of Young Children (NAEYC). 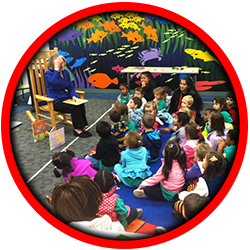 Our preschool programs are approved as nursery schools by the Maryland State Department of Education. We are a Level 5 Maryland EXCELS program. We employ a professional staff of compassionate directors, teachers, group leaders, and assistant teachers who are thoroughly screened and trained to provide consistent, affectionate nurturing while carrying out the Peppertree program. Open communication between staff and parents is essential to the well-being of our children. Newsletters, conferences, daily interaction, and special events are some of the ways we encourage this interaction. At Peppertree Children's Center, we believe in the importance of the family unit. Parents, grandparents, siblings and other relatives with permission are welcome to visit at any time. In fact, they frequently join their children for lunch, field trips, birthdays, and more. 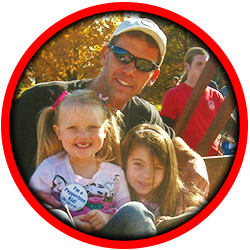 We provide many opportunities for families to socialize and network with each other as well. Call to schedule a visit, and ask for Debbie or Kathleen.